This belted half bucket toddler swing is perfect for your child. 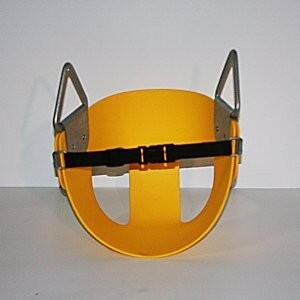 The belted half bucket design provides safe swinging for your toddler. The product is available in multiple colors such as green, blue, and yellow.